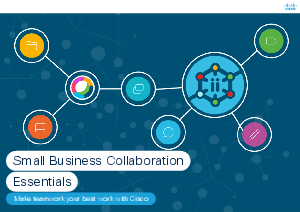 The Cisco Meeting and Team Collaboration Experience The workplace has changed and today the most agile work forces outperform traditional set ups. But the reality of modern business life is, if you want a culture of innovation, you have to make it yourself. Teams need a workplace that’s focused on innovation and speed. Introducing Cisco Webex Teams, a platform that helps teams to do it all. Essential kit for forward-thinking small businesses.